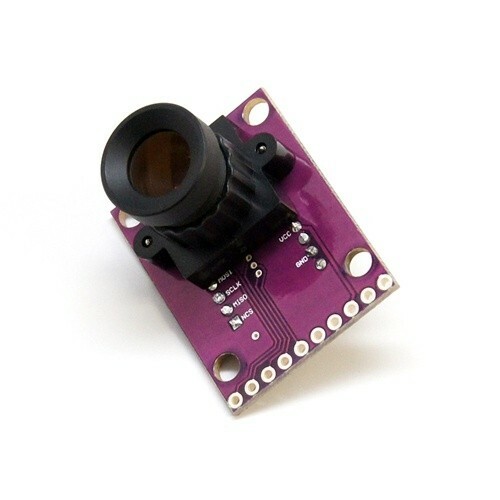 This optical flow mouse sensor and a lens-mount assembly ( ADNS3080 ). It can add aditional features to your vehicles, the use of the optical flow sensor can be used for horizontal altitude hold for ArduCopter quads and helis, odometry and obstacle avoidance. 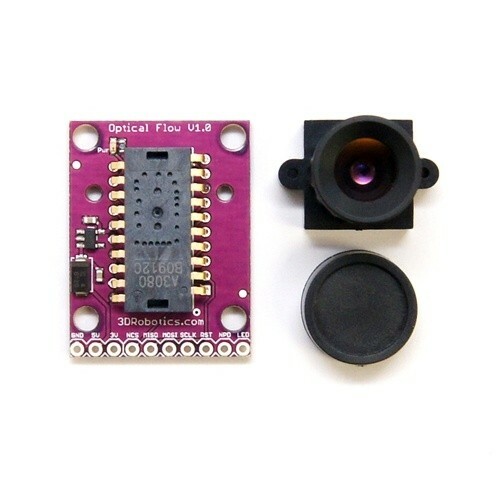 The Optical Flow Sensor will be supported in the ArduCopter code from 2.6 and above. 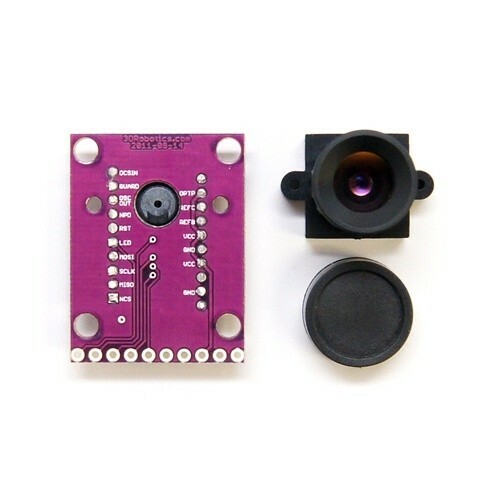 NOTE: This optical flow sensor comes assembled. The sensor will not perform well in dimly lit environments or under fluorescent lights. Up to 6400 fps update rate. Includes an 8mm lens which can be replaced, depending on the use requirements. Standard M12 x 0.5 lens mount. The libraries needed for the code can be found here. Set up instructions can be found here. I purchase quite a bit online but BYOD is the standard that I wish more people would work to emulate. Not had the pleasure yet but have seen some promising videos of its use. Could not find a Docu for Soldering, no hint that this item will not be supportet by APM 2.0. 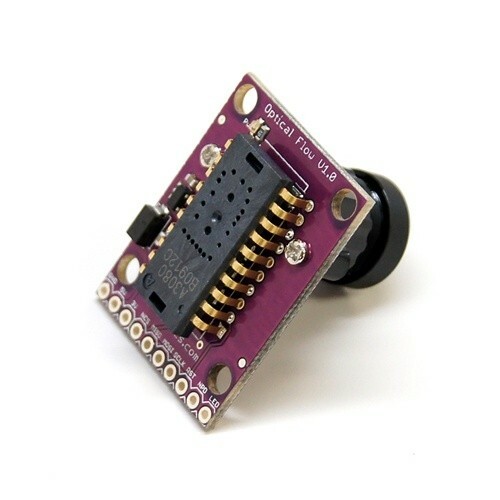 I have updated the product page to show the APM support options at this time, it's only "ArduPilot Mega 1", the Solder Doc's and supported systems are above in the "Set up instructions can be found here" link in the Documents & Instructions section at the bottom of the product page. Looks good and seems to work ok with Arduino. Loooking forward to using it on my Quad.